Places to see at Baradih village: This newly built eco resort is spread over 4 Bighas of landscaped gardens on the banks of River Kansabati on a hillock. Although the local tribal seem indifferent to the mesmerising beauty of Baradih, your urban soul would surely find a restful abode here. 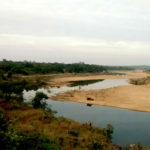 You can walk barefoot on the sandy beaches of the River Kansabati or carry binocular to the surrounding forests to catch a glance of the unknown bird. Nearby attractions from Baradih village: An hour’s drive from Baradih Village would take you to one of the most popular weekend spots around Kolkata – Mukutmanipur. Here you can visit the Deer Park or go for a boat ride on the lake created by the dam on River Kansabati and Kansai. Panchmura – the village where the famous terracotta horse of Bankura is made is around 40 kms from Baradih. You can spend a couple of hours in this village witnessing the artisans creating some beautiful terracotta sculptures. 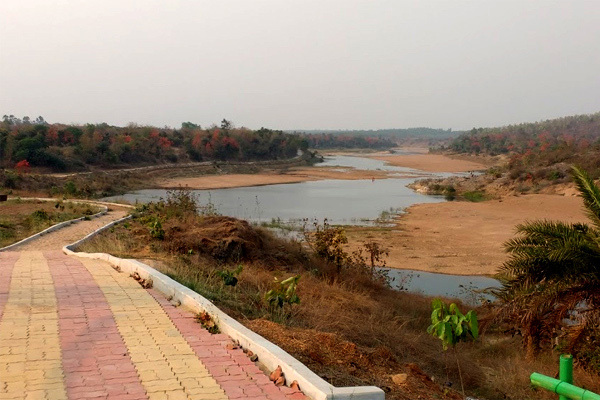 Jhargram is around 60 kms from Baradih and is the nearest main town with rail connectivity. Here, you can take a short trip to the Mini Zoo of Jhargram and visit the Jhargram Rajbari – palace of the erstwhile rulers of Jhargram. Things to do in Baradih village: The Sal forests of Baradih is perfect for short treks. You can trek to the top of Baradi Hill for a panoramic view of the surrounding landscape. 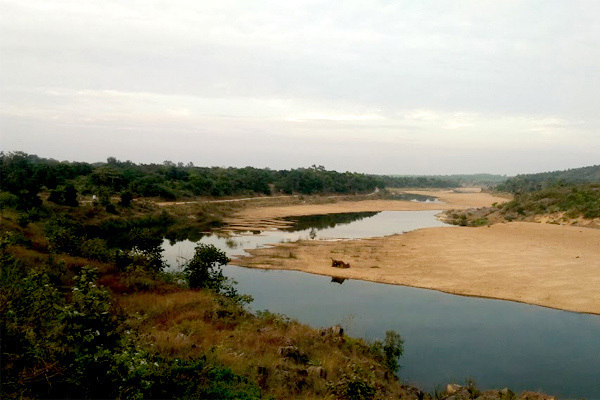 You can take long walks on the sandy beaches of River Kansabati and enjoy a dip in its cold waters. Bird watchers would be rewarded in the surrounding forests. You can visit the surrounding tribal villages to understand the lifestyle of the local tribes. How to reach Baradih village: Baradih is 60 kms from Jhargram and around 66 kms from Bankura. You would get shared cars from these places to Baradih. You can also opt for pick-up services in exclusive cars from Jhargram as well as Bankura Town. Best time to visit Baradih village: You can visit Baradi anytime of the year. You can enjoy the sun outdoors in the chilling winters while the gushing waters of Kansabati and the greenery during the monsoons will keep you spellbound. Lodging and dining facilities at Baradih village: Presently, we have two cottages with 10 Double Bed Air Conditioned rooms for the guests. 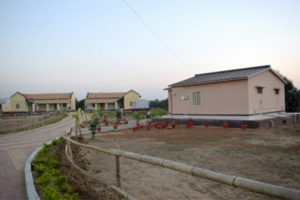 Also a separate Dining Hall and an activity center is located in the resort premises. Our resort’s children play area and lush lawns, gazebos and gardens face the meandering River Kansabati. The rooms are facilitated with all modern amenities like attached western bathrooms, hot water geysers, comfy beds, couches and televisions. Food is essentially Bengali cuisine and is served at the Dining Hall. Photo Courtesy: Mr. D. Dandapat, Mr. A. Patra, Mr. S. Dutta and others.